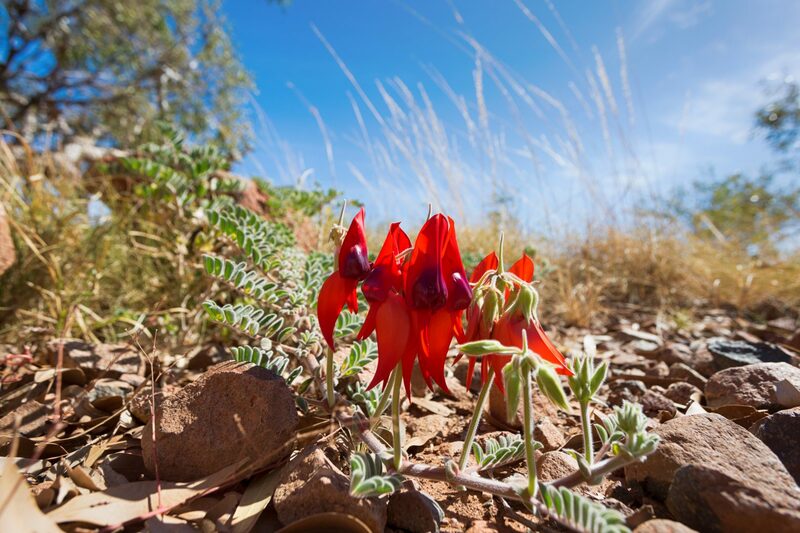 Discover the stunning West Australian wildflowers on this 13 day tour from Perth that includes Geraldton, Fremantle, Margret River and more. This solo only escorted tour includes 3 nights Perth, 2 nights Geraldton, 2 nights Fremantle, 1 night Hyden, 1 night Albany, 2 nights Margaret River & 1 night Perth. Today we meet at Perth Domestic Airport. Our transfers will be available at 4pm. Upon arrival we will be greeted by our friendly coach captain, board our coach and travel into Perth and to our hotel. A Welcome Dinner will be take place this evening at the Mercure Perth. This morning we enjoy breakfast at Miss Mauds before taking a City Tour of Perth. We visit the CBD and Northbridge but will spend most of our morning in Kings Park. After a lovely lunch at Botanical Cafe we’ll be taking on a guided Bushland and Wildflower Walk to discover spring wildflowers along the Nature Trail, such as milkmaids and postmen, pixies and fairies, donkeys and spiders. We return to the hotel and have the afternoon & evening is at leisure. After breakfast we will tour the Perth Hills and visit a selection of National Parks for short walks and wildflower spotting. There is a change that we’ll see Kangaroo Paws, Hakea, Wattle, Orchids and Peas. We return to the hotel for an afternoon of leisure. This evening will make our way to a local restaurant for dinner. Today will be an early breakfast before we board the coach and begin our drive to Geraldton travelling through the Banksia Woodlandsand along the coast on the Indian Ocean Drive. We will encounter the golden bloom of the Western Australian Christmas Tree in Moore River National Park before continuing on through Lancelin and Cervantes. Today’s lunch stop will be at The Lobster Shack for fish and chips. Upon arrival into Geraldton we will check in and have the evening at leisure. After a continental breakfast this morning we make our way north to Horrocks and Northampton. We have some free time at Horrocks Beach, which has won the title of #1 Mainland beach in Tourism Australia’s Best Australian Beaches for 2018. Travelling to Bowes River Mouth for wildflower sightseeing, there is also the possibility of spotting humpback whales from the Whale Watching Lookout. Moving onto Northampton, we stop at the Visitor Centre which was formerly the town police station that was built in 1882. Back at the hotel, freshen up before we meet for dinner at the hotel. Following breakfast at the hotel, we board our coach and begin our journey to Fremantle. Travelling along the Everlastings Trail we first stop at Mullewa and then Coalseam National Park. Taking the inland route back South, we will a number of stops along the way with short walk options available in/around Wubin, New Norcia or Bindoon. Arriving into Fremantle, we check into the hotel and have time to freshen up before meeting for dinner. 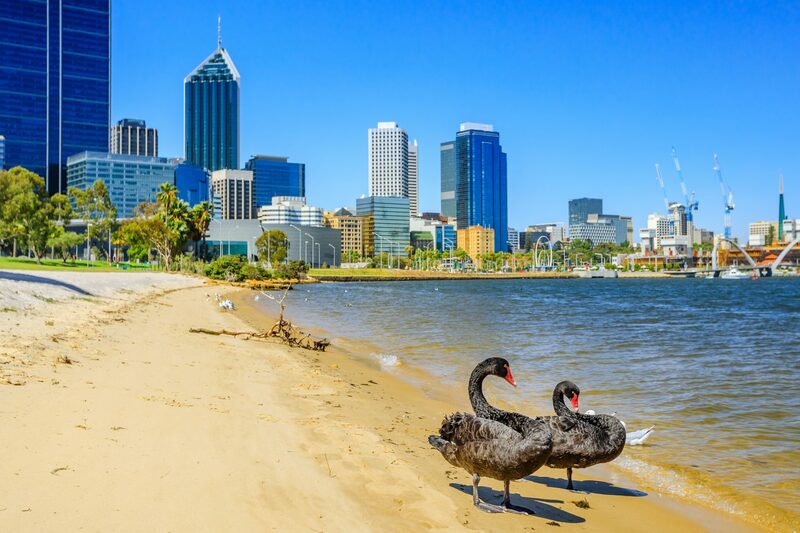 Today after breakfast we will have a walking tour, seeing the highlights of Fremantle which include the Cappuccino Strip and the Fremantle Markets. There will be the option to take a guided tour of the Fremantle Prison (additional cost). We return to the hotel and have the afternoon to relax and refresh before meeting for dinner in the hotel. After breakfast we will be collected from our hotel and travel through Armadale, Brookton and Corrigon to arrive in Hyden. We’ll do some wildflower spotting along the way, stopping in the shire Kulin to visit the Hopkins Nature Reserve. Upon arrival at the hotel, we will check in and meet for dinner. We enjoy breakfast and pick up our packed lunches before setting off for Albany. Driving south, we past Lake Grace & the Chino Cup Nature Reserve. We stop in the Stirling Range National Park to see orchids and visit the Bluff Knoll lookout for a short walk. Arriving into Albany, we check in to our hotel and have the evening at leisure. Today after breakfast we check out and board the coach for our drive to Margaret River. Along the way we will visit The Gap & Natural Bridge within Torndirrup NP. We have the chance to see the Sticky Tailflower, the pink Pimilea Rosea and blue Scaevola Nitida. Continuing on to William Bay National Park, we have a brief stop at Green Pool before we travel through Walpole and Pemberton. Tonight we have dinner at the Settlers Tavern. We then transfer to our accommodation, check in and have remainder of the evening at leisure. This morning we meet for breakfast before we begin exploring the glorious Margaret River region. We start with a visit to Surfers Point in Prevelley and then arrive at Vasse Felix for a private 45min wine tasting. 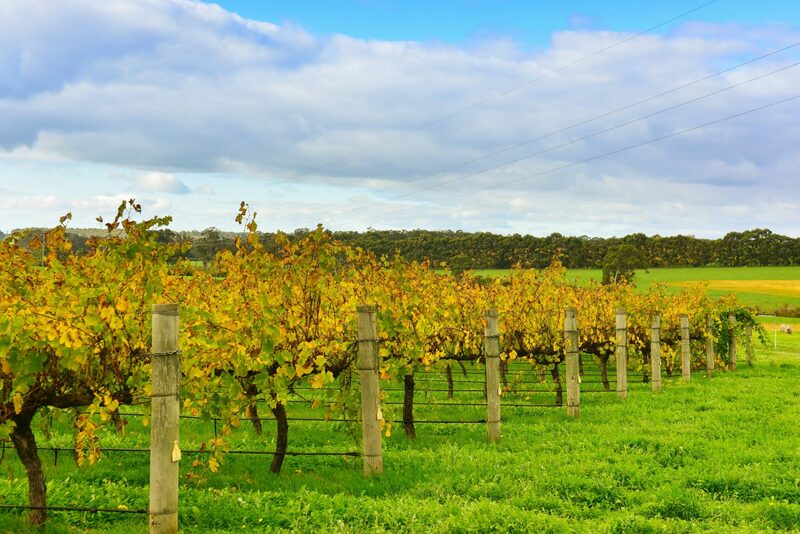 Taste up to 8 wines including their iconic Heytesbury Chardonnay and Tom Cullity Cabernet blend. There will be time to view the art gallery and the vault. Moving on to Cheeky Monkey, we will get to do some beer tasting and enjoy lunch. Later we go to the Margaret River Chocolate Factory and Providore for chocolate, olive oil and chutney tastings. We return to our accommodation for an evening at leisure. Today after breakfast, and check out, we board the coach and make our way to Mammoth Cave for a self-guided audio tour. Travelling north to Yallingup we see the Canal Rocks and Canal Rocks Bridge. We then make our way to the Cape Naturaliste Lighthouse before continuing on the Busselton. 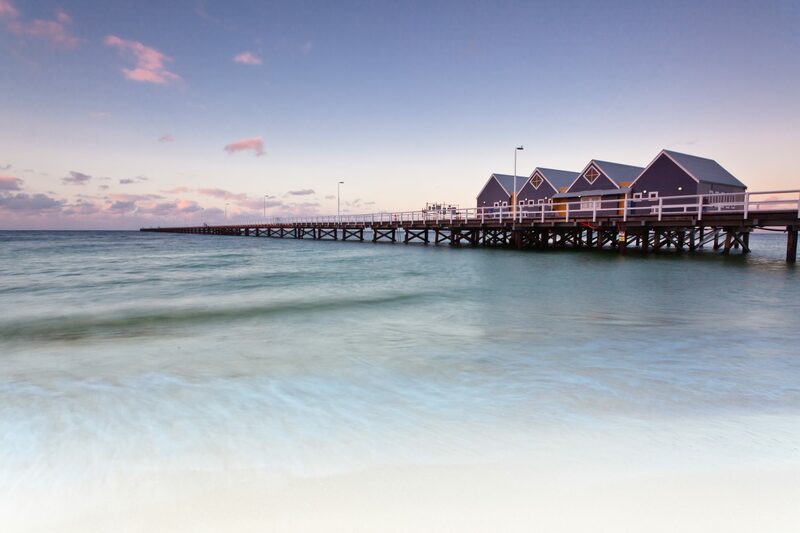 Walk along the Busselton Jetty and have some time at leisure. Later on we drive back to Perth. Upon arrival there will be time to check in and have a brief freshen up before we are transferred to Crown Casino Perth for our Farewell Dinner in the Atrium Restaurant. There will be time to explore the casino or one of the many bars in the complex before we are transferred back to our hotel. After breakfast it’s time to say farewell. Our transfer to the airport will depart at 8:30am. Please do not book flights prior to 11:30am. *We can help book your flights and any pre or post accommodation. Ask us when enquiring.